New Zealand’s progressive causes have been driven by a strong sense of social justice. Ian Shirley was one of the nation’s strongest drivers. He was born in Kaiapoi and spent his early years in rural towns. His father Eric was a stock and station agent, and so the family moved around. They eventually settled on a farm in Lichfield and he attended Marist Brothers Secondary School in Hamilton. His many long discussions with his mother Irene (Rene) were an influence on a questioning but committed mind. His last year at secondary school was spent as a boarder at Sacred Heart College in Glendowie. Even so, after school he returned to working on stud sheep and cattle farms. He and his younger brother Graeme were given early responsibility for breeding and showing Southdown and Romney sheep. They won Best in Show at numerous Agricultural Shows around the North Island. His very physical life included much sport; playing tennis, rugby and table tennis at senior level. Eventually he settled in Auckland when in 1965 Jim Anderton persuaded Ian to take over the job as Auckland President of the Catholic Youth Movement, which Jim was vacating. During his tenure, Ian was very influenced by the Young Christian Workers Movement, set up by the Belgian Cardinal Joseph Cardijn, which involved social action built on a model of see, judge, and act. He married Mary McCabe in 1968. At his funeral it was said that it was, ‘the best thing he ever did’ which, given his other achievements, is quite an accolade. They had three sons, Anthony, Mark and David. He moved on to work with Fr Felix Donnelly at Catholic Education and in the early 1970s became employed as a probation officer with the Probation Service in Auckland. Ian tells how in his first year of studying sociology, a set task was to report on a suburb. He chose Otara, where he was told by a local school principal that he should not be focussing on captive populations but on the power structure itself. The sentiment that individuals were functioning reasonably well in a system that was functioning badly framed his life’s work. Its practical application arose when he became community development worker at the Auckland City Council in the early 1970s. In 1974, Ian was the ACC community adviser in Glen Innes in Tamaki. His experiences are described in his first book, Planning for Community (1979). At its heart are case studies of three families and a description of the establishment of a community centre which the locals did not want but the city planners did. The book is consciously communitarian, an approach to social organisation based on small self-governing communities, an ideology which emphasises the responsibility of the individual to the community and the social importance of the family unit. It is greatly influenced by Paulo Freire. The council rejected Muldoon, and its social welfare committee decided to adopt Ian’s recommendations that it press for discrimination in favour of disadvantaged social groups in housing, employment, transportation, health and social services, while defending their civil rights and means of cultural expression. The recommendation seems to have had little impact. Ian applied to be head community officer of the council and, against all predictions, missed out. So he took on a lectureship in 1977 in the Social Work Unit which was part of the Massey University Department of Sociology in Palmerston North. (He was invited to apply by the director, Merv Hancock, who believed that universities had a role as a critic and conscience of society, an unfashionable view today although held by Ian until the end.) 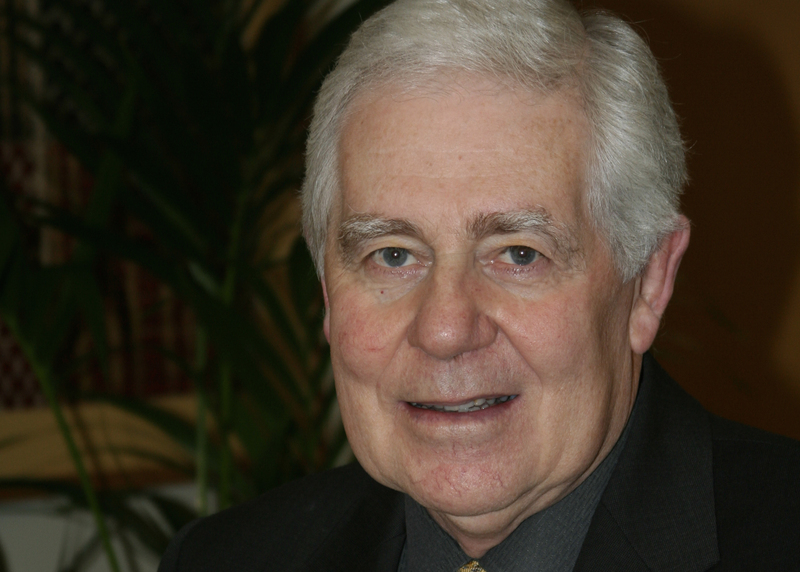 Ian steadily rose to the chair in social work in 1986 and became New Zealand’s first Professor of Social Policy in 1988. Numerous outside appointments included being the first chair of the New Zealand Council for Education and Training in Social Work. Earlier, in 1977, he had been critical of social workers, describing them as unwitting instruments of oppression. ‘People in my sort of job should be working to make the community more effective. That means they’ve got to be on the side of minority groups and identify with them.’ He became a part of the reshaping of the profession. Later he could argue there were three positions on social work professionalism: ‘conventionalism’, which stressed the service ethic and specialised knowledge, ‘revisionism’, which emphasised the recognition of society as the essential ingredient in conferring professional status, and ‘radicalism’, which did not worry too much about the criteria for professionalism, being more interested in the process by which professionals maintained their status and power and thereby exercised social control and emphasised links between professionals and service users. He exhibited them all, giving greater weight to the third. Ian’s heart was always in Auckland and after 18 years in Palmerston North he transferred to Massey’s Albany Campus, developing social work and social policy there. From 2020, Massey University will award its top Bachelor of Social Work or Bachelor of Arts (Social Policy) graduate the Ian Shirley Award, established in recognition of Ian’s contribution in establishing the discipline of social policy at Massey University and the importance of social policy in social work education. In 2000, following Massey restructuring, Ian took up Vice Chancellor John Hinchcliff’s invitation to set up the Institute of Public Policy at the Auckland University of Technology where he was Professor of Public Policy. In 2004 he became Pro-Vice Chancellor (Research and Development) charged with developing AUT's research culture. He was so concerned with the distortionary impact of the PBRF system that he recommended the university not take part in it, despite his own many research achievements. The shift from the North Shore to central Auckland accelerated an increasing commitment to the development of metropolitan Auckland. For him, AUT had a central role both in teaching (he was particularly concerned with reaching out to Māori and Pasifika students), in action-oriented research (he was closely involved in the development of ideas that eventually led to the Auckland mega-city) and in the promotion of public debate (he founded and was first director of the Policy Observatory). There is a sense that AUT is Auckland-focused while the University of Auckland sees itself as more international. Even so, Ian had always interacted with offshore researchers and institutions; in his later years was involved in an international investigation of metropolitan centres – Auckland writ large. Ian forged a working relationship with the Chinese Executive Leadership Academy (CELAP) to develop a research network focused on cities development, connecting academics across the Asia Pacific region. In his work with the Chinese he strongly advocated for all members, regardless of where they came, to be given equal voice; and at one memorable point reminded his colleagues that 'Apia is just as important as Shanghai' as an example of cities' development. The network led to the Asian and Pacific Cities: Development Patterns edited collection in 2013. Families or tribes are not organic entities of morality, rationality and senses. They cannot feel pleasure or pain. The self-interested individual is the basis of social policy and of what is the determinant of good. Alas, we will never know how he would have developed his argument. While cancer had limited him, it did not bow him. He said you battle against social injustice, but not cancer; you just get on with your life and do what you've committed to. I have been called a Marxist ... all sorts of things. Actually, I have no interest in party politics or orthodox political philosophies. I’m just fighting any concentration of power hostile to popular democracy. Charles Crothers. Obituary in New Zealand Sociology (forthcoming). Ian Shirley: Curriculum Vita (about 2010). You can read an obituary to Ian Shirley by the Aotearoa New Zealand Association of Social Workers here.